So that's the introduction of some of the hats I wear but all it boils down to is a lot of living and being. A lot of the time I wear multiple hats at a time and some hats are now part of who I am. Lise McAlpine is a Certified Paverpol instructor who has been sculpting with Paverpol since 2009. She has attended 3 Master Classes and numerous other provincial trainings since becoming certified. In 2010 Fabric Art Rocks was chosen as the name for her venture into the world of multimedia sculpting and teaching. 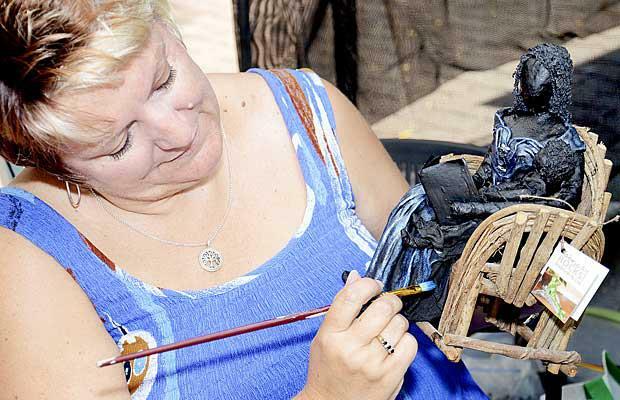 Working within the community of international Paverpol and textile artists and teachers she has continued to refine her skills and share them as a teacher. Early on Lise found art as an effective medium to reduce stress and as a coping strategy. She was able to recognize the correlation between being present with sculpting and mindfulness practice. As an option in her workshops Lise offered mindfulness orientation and practice before each workshops. Participants enjoyed this benefit to starting out the day. Lise has incorporated art and mindful self-compassion into 2 day/ weekend workshops which have been well received. Having an introduction into how to be kinder to one’s self, learning how to sculpt with Paverpol and going home with a beautiful piece of art. I was first introduced to mindfulness over 10 years ago both in my practice as mental health clinician and as a way of helping with chronic pain I was experiencing at the time. My personal practice has continued over the years. Because of my own experience of sculpting as a way of being present in and activity and the benefits of coping with and reducing stress I began to offer an introduction to mindfulness at the beginning of my workshops. 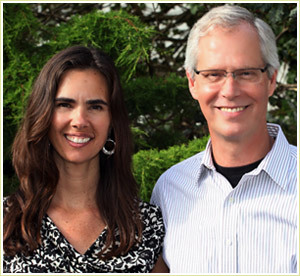 In 2012 I became aware of the work of Dr. Kristen Neff and Dr. Christopher Germer and their program Mindfulness Self Compassion (MSC) after seeing Kristen at a conference in Seattle. Then I heard about their "intensive 6 day courses" and attended my first MSC training in 2014 at Joshua Tree Retreat Centre in California with Kristen Neff and Christopher Germer. In November 2015 I completed my Teacher Training in Lucerne, California with Christopher Germer and 4 others from the MSC Institute. I am very passionate about helping to find ways to reduce our suffering and learning how to be kinder to ourselves. It is not easy to change our pattern of self depreciation but each time we notice it and turn towards kindness we reduce some of the suffering. Above: Masters Class Chilliwack 2014 with the owners of Paverpol International Jan and Josie de Roode of the Netherlands.